Saturday 24th of August is “D-day” for Cork Ladies Football as our Senior and U16 teams take on the Dubs in a Double header in Birr, Co. Offaly. 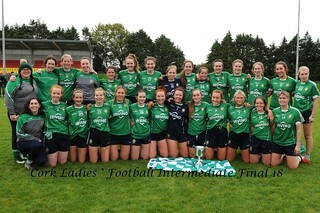 First up at 2.15pm are the Senior Team who face a resurgent Dublin team in the quarter Finals of the TG4 All Ireland Championship. Cork had a narrow one point victory over Armagh in the previous round and will need to step up considerably if they are to reach the Semi Final for the 8th time in 9 years. 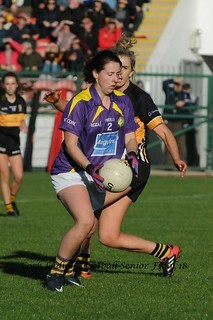 At 4.00pm our U16s will take to the field against Dublin in what promises to be a huge battle for All Ireland honours. Cork had a convincing 3-10 to 0-8 victory over Galway in the Semi Final while the Dubs were 6-13 to 0-2 winners over Cavan in their Semi Final. Cork will be hoping to land our first U16 title sine 2008 as we try to go one better than 2012 when we lost out to Galway by a heart breaking single point in a thrilling Final. Please come and support the girls in what promises to be a massive challenge for both teams.